Really I have no story for this one. 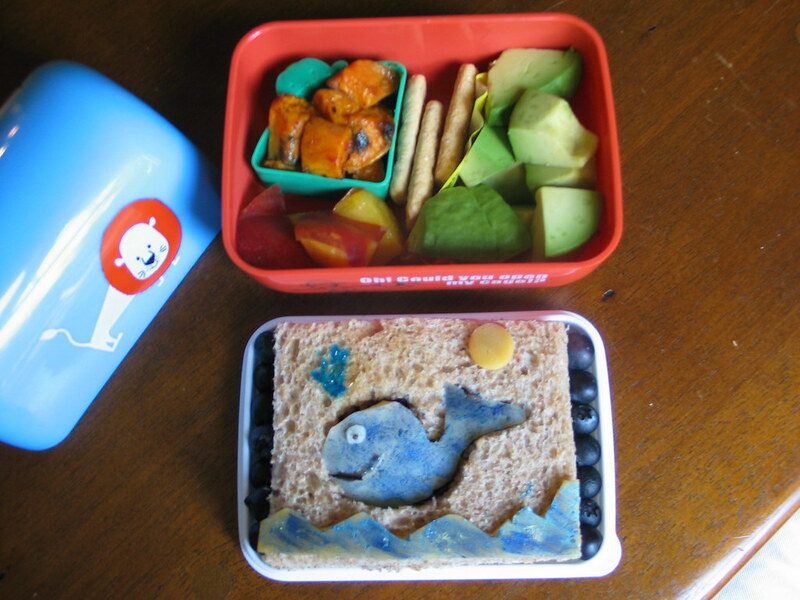 Only that when I asked the Monkey if he wanted me to make something in particular for his lunch he said "a whale". I have no idea why. (1) how is the whale cheese blue? (2) how long does it take you to make lunch? (3) assuming that the bento boxes have tops, does the food get too jiggled if you put the box in a backpack?